Hurling is one of the oldest and fastest field games in the world. Two teams of 15 pit their skills,.. Pair of miniature hurleys in the Dublin colours. Hurling is one of the oldest and fastest field game..
Miniature hurleys in the Kerry or Meath Colours. Hurling is one of the oldest and fastest field game..
Miniature hurleys in the Limerick Colours - Hurling is one of the oldest and fastest field games in ..
MIniature hurleys in the Wexford colours. Hurling is one of the oldest and fastest field games in th..
Galway Hurling and Football Flag - Official Merchandise from the Galway GAA, Galway Footba..
Hurling Fridge Magnet with Clare colours - Hurling is one of the oldest and fastest field games in t..
Hurling fridge magnet in the Cork colours - Hurling is one of the oldest and fastest field games in ..
Hurling Fridge Magnet with Dublin colours. Hurling is one of the oldest and fastest field games in t..
Hurling Fridge Magnet in Galway colours. 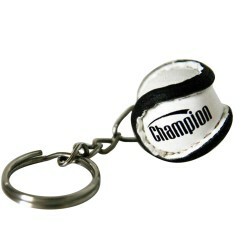 Hurling is one of the oldest and fastest field games in the..
Hurling Fridge Magnet in Kerry Colours. Hurling is one of the oldest and fastest field games in the ..
Hurling Fridge Magnet in Limerick colours. Hurling is one of the oldest and fastest field games in t..
Hurling Fridge Magnet in Tipperary colours. Hurling is one of the oldest and fastest field games in ..
A hurling fridge magnet in the Wexford colours. Hurling is one of the oldest and fastest field games..
A wooden hurling pen holder in the Clare colours - Hurling is one of the oldest and fastest field ga..
A hurning pen holder in the Kerry colours. Hurling is one of the oldest and fastest field games in t..
A hurling pen holder in the Limerick colours. Hurling is one of the oldest and fastest field games i..
A hurling pen holder in the Tipperary colours. Hurling is one of the oldest and fastest field games ..
A hurling pen holder in the Wexford colours. Hurling is one of the oldest and fastest field games in..
Hurling is one of the oldest and fastest field games in the world. Two teams of 15 pit their sk..